On the surface, Canadians and Americans have a lot in common. Most of them look relatively similar, speak the same language, and have a comparable outlook on life. Marketing to Canadians (or any consumer group) can be tough and we attempt to provide those looking to break into a new market with a few tips and best practices! However, from a marketing standpoint, Canadians and Americans are different in many ways – most of which do not meet the eye. As a company or agency looking to reach a Canadian audience, understanding the key differentiators is the most crucial piece of the puzzle. For any business, entering a new market can be challenging and this radio show helps unpack those challenges. In this segment, we sit down with Robert Laplante, President and Founder of Media-Corps. Media-Corps is a Canadian advertising and marketing agency helping U.S brands reach the vast Canadian market. Robert, a Canada native, started Media-Corps in 2007 and has an extensive knowledge of how to make meaningful impressions on our neighbors to the north. Media-Corps specializes in both the traditional and digital media ecosystems. This includes (but is not limited to) television, radio, out-of-home, magazines, programmatic digital, live read traffic radio and TV, newspaper, pre-roll video, and an array of premium digital solutions. Some of the high-profile clients Robert has worked with include Whole Foods, Budget Blinds, The North Face, Best Western, Jelly Belly, and Garmin. In the first section, we discuss some of the standout characteristics of the Canadian market. We dive into the specifics of how these have evolved over the years and where the market is heading in the future. Spoiler: there’s no telling what the future might hold, especially given today’s political climate. Section two focuses on the cultural differences between Americans and Canadians. This involves critical factors like spending habits, regulatory differences, as well as some of the lesser known contrasts that many brands and marketers tend to overlook. An interesting point that came up was that most Canadians are very skeptical of brand messaging in comparison to Americans! Section 3 covers the specifics of how businesses can effectively make an impact on the Canadian market. We discuss the differences in companies looking to bootstrap their entrance and those that are coming in with a larget budget. Robert lays out several of the essential steps that brands need to take before launching a campaign. He also touches on Target’s colossal failure to expand to Canada and what others can learn from it. The last section continues with more details required in building a checklist for entering the Canadian market. This covers everything from conducting thorough market research and the media buying process. If you are interested in getting your brand message out in Canada, listen in for some key strategies and tidbits to get the ball rolling! 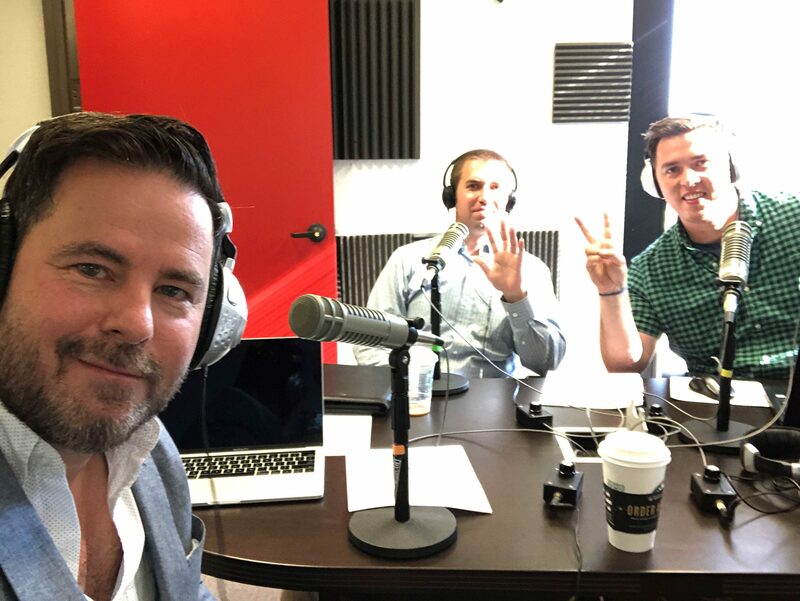 Kevin Svec recently joined Sam Wheeler in hosting “This Week in Marketing”. He is a senior copywriter and content strategist at E2M Solutions Inc. – a digital marketing agency specializing in SEO, Content Marketing, Web Design, and Copywriting. In his spare time, Kevin enjoys managing and writing for his travel website called Impulsive Wanderlust.